GoGet is an online marketplace which connects people who needs help to run errands with those who have the free time to get things done. You can request for help for all sorts of tasks, from dispatch, shopping, food delivery, flyering and so on and so forth. We’ve written about them a few times before this, and they just recently celebrated their two year anniversary in August. We caught up with the co-founder, Francesca, to get her take on how GoGet’s been doing, and what’s to come. Q: How many people have used your platform since you’ve started, and what would you like to see the numbers grow to? We have tens of thousands of users using our platform since we started. Our vision is to grow the community larger so that more people can experience, get connected and transact in a whole new way in their cities. It’s been great to be the largest community of freelancers that support our cities in their daily tasks, businesses in their operational tasks and more. We want to see this number grow to hundreds of thousands and hopefully millions in the long term. They range from all sorts of people, going from the busy banker running between meetings to meetings, to the stay-at-home mother juggling all her tasks, to business owners who need help in operational tasks. We didn’t expect businesses to use GoGet so much, but today they represent one of the largest segment on our platform. With GoGet Business, we help with delivery of products, dispatching documents, offer part-time help in the store, inventory checking to even flyering and event set up. Q: Are you generating revenue? If not, by when do you expect to become profitable? GoGet is generating revenue through two ways: we work with businesses as their on-demand flexible labour solution and we collect a commission on jobs. Breaking even and building a sustainable business model is our number one priority. As background, we started GoGet completely free as a platform to use in 2014 and that was for our community to be able to grow and start adopting the flexible labour models. Now in 2016, our two revenue streams are strong foundation blocks for us to build from here towards a future where our investors will be getting their return and the business can operate by itself. We are naturally much lighter in assets compared to traditional models and technology is used as our key enabler with the advantage of being cost effective and operationally efficient. Our operational team is still very small and lean because that has been our philosophy since day one. Q: Do you still verify your GoGetters manually? What is the process like? We verify our GoGetters through a process that is both online and offline. We have online registration, a face-to-face session and continuous monitoring and quality management. It has changed drastically because we started where I trained each GoGetter one by one; today we have a process that can verify hundreds in a month. Q: How do you determine the recommended price of the tips that GoGetters get? Similar to the Grab or Uber internal meter, we have an internal fee calculator. It takes into account distance, time taken, type of task, effort required, vehicle and more. This is to provide the user a better estimation on the fee. Ultimately we still allow users to determine their pricing themselves. We only suggest but it can be changed and adjusted for urgency or for lowering cost. Q: What is a big change that has come about since you launched? From the time we launched until now, we have grown from working in cafes and freeloading on WiFi, to working out of a house and finally having our own office. We went from one GoGetter to 4000. Operations went from manually blasting to algorithms. We changed from an outsourced MVP (minimum viable product) to an internally built and owned platform across web, iOS and Android. We went from Bangsar only to KL, JB, Penang, and our first ever foreign city, Hong Kong. Q: What do you feel are your biggest achievements so far? Our prouder moments are those always relating to the community, and how we have impacted the livelihood of people, empowered people and created opportunities that never could have happened before. 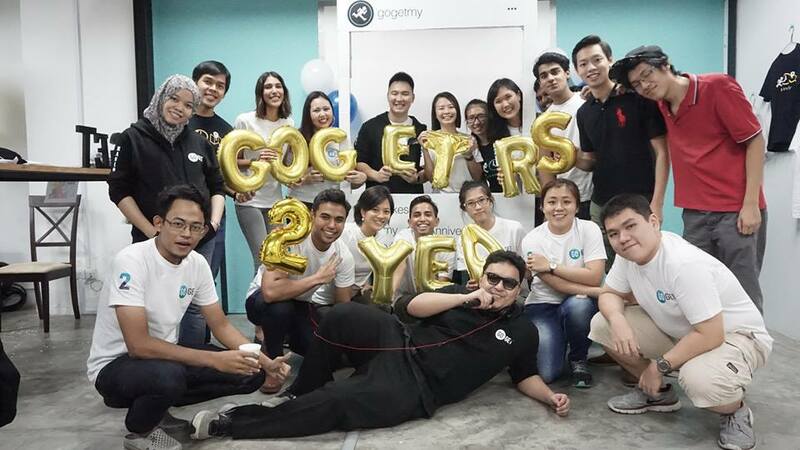 At the start of the year, GoGet hit the RM1 million mark in GoGetter earnings. That meant that we had built a network for flexible help where over RM1 million has been created and put into people’s pockets for their hard work and contribution as a GoGetter. Back in 2014 when we rolled out, people were highly doubtful about the model of outsourcing your task to another person. We are able to completely remove that doubt and say that this not only entirely possible but there is a market for it. We don’t believe that we have even made a dent in the true size of the opportunity and know that we have a lot more to learn, build and improve on. Another big celebration was when our first ever verified GoGetter hit his 3000 job mark. It was big for us because we are so grateful for our early GoGetters who believed and trusted in what we were trying to build. We believe they founded GoGet with us. Finally the other big celebration and proudest moment is when we found out that through GoGet, a user and a GoGetter met and are getting married. 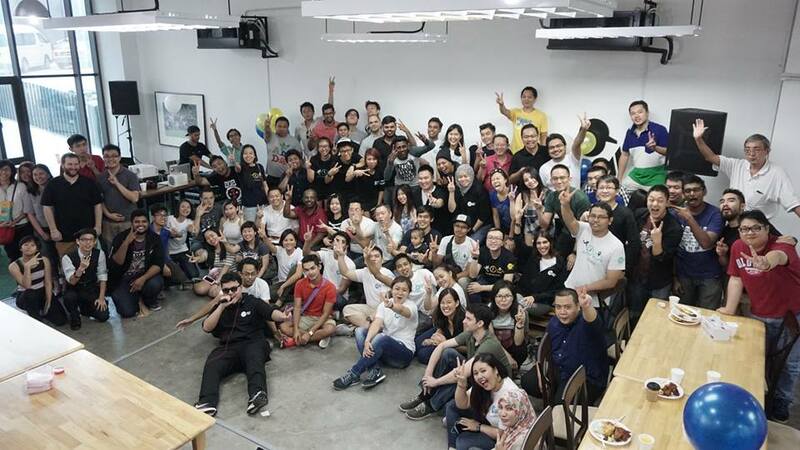 This is one of our proudest not just because of building a community that connected them but ultimately because it shows the type of community that we built. We built a marketplace where both sides of our users respect, treat each other and interact equally. This may sound simple or small, but to us this was one of the hardest aspects to ensure. We had to ensure the way we grew and built GoGet fostered the right type of community. This softer aspect of then business is arguably the hardest to get right. But with this, it showed we did something right. Q: What do you feel were some major challenges? For us the main ones usually are about balancing demand and supply, scaling operations and building the platform elegantly. The way we overcome these challenges is through the team. It’s not just me, it’s entirely rooted in how we all work together, identify the issues, select priorities and then tackle them head on to ensure delivery. Q: When you were starting out, the delivery/personal concierge service industry wasn’t as saturated as it is now. With so many other options on the market, how are you going to stay ahead of the competition? Our competitive landscape changes every week with a players coming and going. It’s great because it shows the enormous opportunity and as a company it keeps us on our toes. Until now we are the only true marketplace player with a strong technology platform in iOS, Android and web, and largest pool of verified supply for errand services. We started out being the first and all we are focused on is ensuring we can build a model that is sustainable and can grow. Our strategy has always been to listen to the market, because we never really know what’s best without the users and our community. Q: What would you say are the largest contributing factors to your success so far? Our team. Without the team in the office and the GoGetters, we won’t have what we have today. No doubt that all of what we have today is because of the people that have made it. Our community including our users have shaped us with feedback we continuously feed off that for improvements.